Something fishy is discovered at the stables. Who could be behind the infestation? Is it time to take the law into their own hands? Scribblers' Rest: Episode 17 - Pathfinder - Rappan Athuk! : – We Don't Need No Stinkin' Badges! 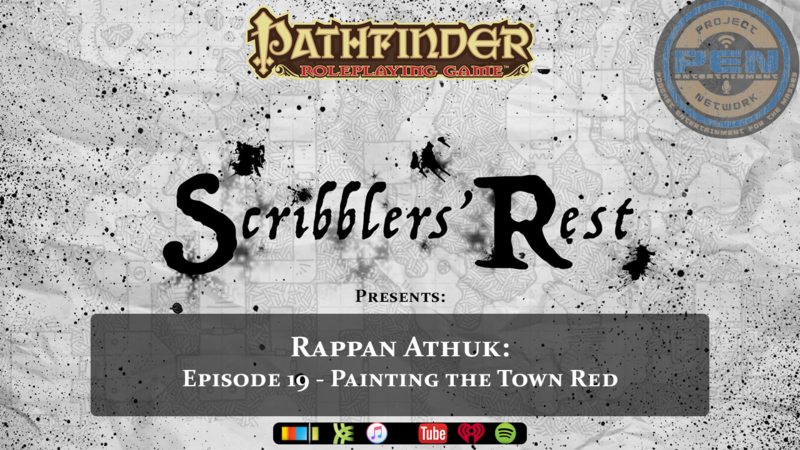 The Scribblers get real as they venture head first into Rappan Athuk: Episode 17 – We Don’t Need No Stinkin’ Badge!